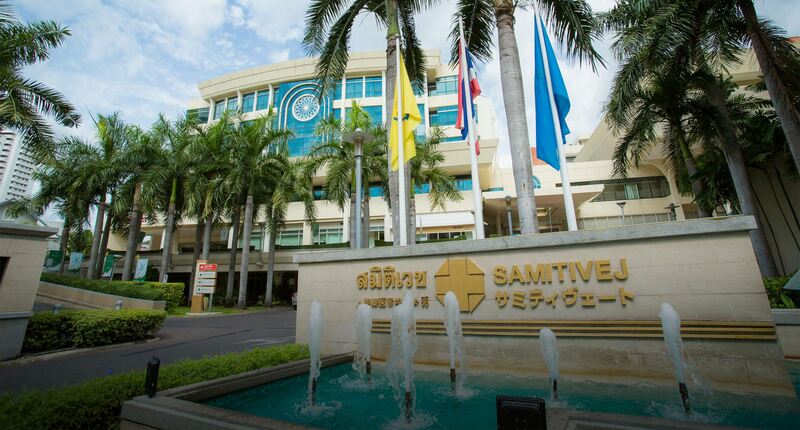 Samitivej Sukhumvit Hospital is an award-winning facility in Bangkok, Thailand providing international-standard healthcare with JCI accreditation. Samitivej Sukhumvit Hospital has been recognized by the United Nations Children’s Fund (UNICEF) and World Health Organization (WHO). In 1999, it was the first hospital in Thailand to be awarded “Mother & Baby Friendly Hospital” status. 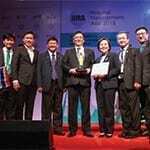 Other notable awards include the Prime Minister’s Award for Most Recognized Service in 2004, and accreditation by the Hospital Accreditation Board of Thailand. 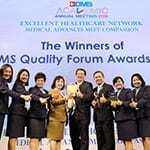 At Samitivej Sukhumvit Hospital, our vision is to provide the highest standard of quality for our customers. 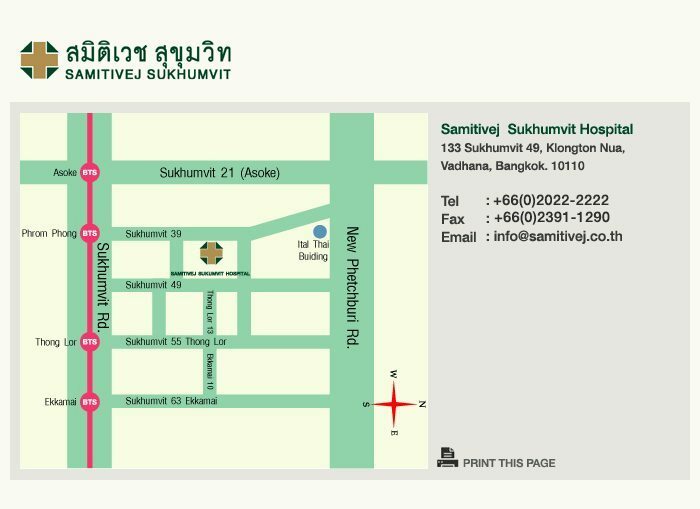 Samitivej Sukhumvit provides a comprehensive range of services ranging from primary to tertiary care. 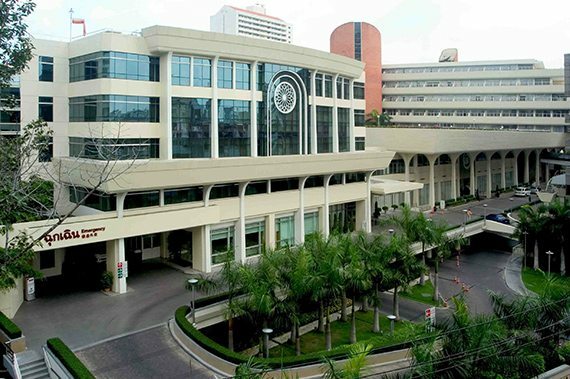 With 270 beds, 87 examination suites and over 1,200 caregivers, the hospital has long been recognized as downtown Bangkok’s comprehensive medical facility of choice. The hospital’s skilled team of caregivers and specialists, complemented by its wide range of highly advanced medical equipment, has successfully performed complex surgeries ranging from open heart to liver transplant. The hospital is offers state-of-the-art technology and facilities. Our International Department provides foreign patients and visitors with around-the-clock assistance. The hospital also has an immigration counter to assist foreigners with visa and other immigration requirements. Samitivej Plaza has almost 20 tenants ranging from daily convenience stores such as 7-Eleven, banks and popular international chains such as Starbucks. In addition, there is a selection of retail and food and beverage outlets. Samitivej is expanding its innovative mobile health services..
Nithiwat Gijsriurai, M.D. Director of Samitivej Sukhumvit Ho..
Having trouble exercising in this heat? Here are a few tips to get you started! When You Have a Rotator Cuff Tear, Don't Panic, It Can Be Repaired! I know though that for some people, as soon as they must undergo shoulder surgery, they will immediately feel worried, concerned and anxious, as surgery is always a big deal and it seems impossible not to worry. 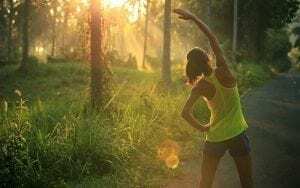 Today, however, we have good news to help relieve your fears about rotator cuff surgery, so that you can have more peace of mind when deciding for the treatment.